This fall, Chris Hutchinson is publishing his first book, The Ripple Leader - a field manual for leadership that works, and is extending a special offer for you to join a pre-order list to be be notified when the book is released. Most authors either advocate for a philosophy of leadership or provide how-to techniques to lead. 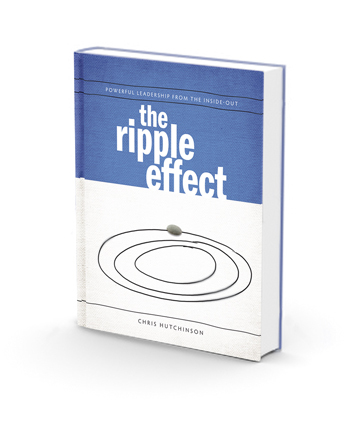 With The Ripple Leader, Chris connects powerful ideas with real actions you can take to become a better leader. The Ripple Leader provides a framework for you as a leader to better understand how you impact your colleagues and your organization. And it provides simple, effective, and doable methods to make a difference in yourself and others. If you or your organization would like to be added to the notification list for when the book is released, please contact us.